 Each year the CCAS (Chamber Certification Assessment Services) assesses and reports on certain aspects of our security service standards for the SIA (Security Industry Authority) Approved Contractors Scheme. This scheme is based on widely recognised business improvement models (ISO 9001 and EFQM) and conformance to the British Standards codes of practice that apply to the private security industry. We are delighted to announce that, since AM Services Group became accredited to the SIA 11 years ago, our scores have demonstrated a continuous year-on-year increase in best practice and quality standards. This year’s report had a particularly positive focus on our engagement with our people. As a company, we care about our people. This is core to our vision and values and we will continue to strive for more development in this area.